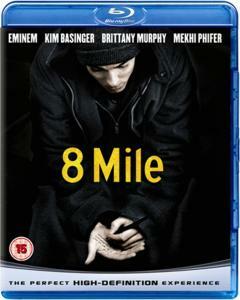 Eminem makes his screen debut in this compelling drama from Oscar winning director Curtis Hanson (L.A. Confidential). Eminem stars as Jimmy (B-Rabbit) Smith an aspiring rap artist from Detroit. This movie is about his struggle to make it in the music industry and the problems and confrontations he deals with in his everyday life. Co-starring Oscar winner Kim Basinger and Brittany Murphy.